Theatre includes: as musical supervisor: The Lion King (London), Pippin (London), Love Never Dies (London), The Sound of Music (London Palladium), Evita (Adelphi), The Woman in White (London and Broadway), Tell Me on a Sunday (London and UK tour), The Beautiful Game (London), Notre Dame de Paris (London), Jesus Christ Superstar (Broadway, UK and European tours) and Romance Romance (London). Film includes: as musical supervisor and conductor: The Phantom of the Opera (nominated for three Academy Awards including Best Song, for which he composed the orchestration), Björk’s Vespertine Live at the Royal Opera House, Jesus Christ Superstar (Emmy Award 2001). Recordings include: he has conducted albums with artists who include José Carreras, Sarah Chang, Julian Lloyd Webber, Vincenzo La Scola, Elaine Paige, Michael Ball, Maria Friedman, Martine McCutcheon and, most recently, Andrea Ross, as well as numerous soundtrack recordings and musical cast albums. Simon conducted On the Town (2005) and The Mikado (2006) for ENO. During 2007, in addition to being musical supervisor for this production of Joseph and the Amazing Technicolor Dreamcoat, he will be conducting On the Town and Kismet for ENO. James is a Writer, Composer and Director for theatre and television. On leaving Edinburgh University he studied theatre direction at the Central School of Speech and Drama, after which he directed theatre and comedy in and around London. From 2003-2010 he worked as Director and Writer for the BBC. As well as directing, James has composed a wide variety of music for theatre, the BBC and other television networks. Nicholas has been making music most of his adult life from releasing his own records to scoring for film and television and, in more recent years, theatre. His credits include: as solo artist under the name of Archangel which have been played on BBC Radio 1, 2 & 6 Music with videos on MTV, Channel 4, E4 and NME TV. 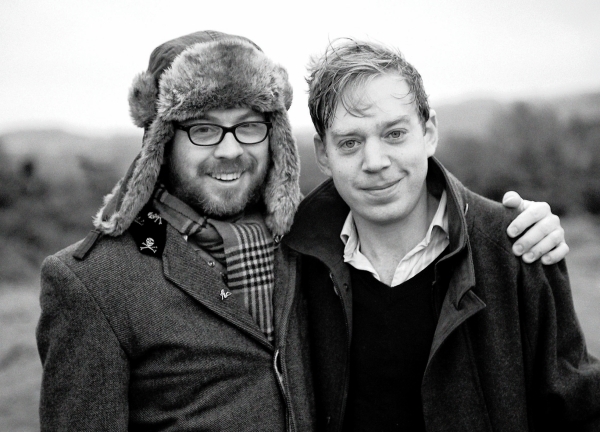 Working in close collaboration over the past five years, James and Nicholas have composed for television and theatre, including several OSC productions. Recent work includes the arrangement of the recording of a US Musical The Concrete Jungle by Bobby Cronin, and the charity album The Speyside Sessions. In 2011 they completed their first full-length sung-through musical, Le Petit Prince, based on the novella by Antoine de Saint-Exupéry. With the full endorsement of the Saint-Exupéry Estate the musical is now being developed for productions around the world. They are currently working on a new musical based in Ireland due to go into production in 2014. Director Michael Oakley is a recipient of the JMK Award for Young Directors for which he directed Edward II at BAC. His production of Terrence Rattigan’s Variations On A Theme starring Rachael Stirling is currently playing at the Finborough Theatre. In 2012 he was Co-Artistic Director of Chichester Festival Theatre’s pop-up space Theatre on the Fly. Direction includes Playhouse Creatures (Chichester Festival Theatre), The Changeling (Southwark Playhouse), Shooting Truth (NT Connections) and Graceland (The 24 Hour Plays: Old Vic New Voices). Associate Direction includes Relative Values (Theatre Royal Bath and UK tour), Kiss Me Kate (The Old Vic), The King’s Speech (West End and UK tour), Rosencrantz and Guildenstern Are Dead (Chichester Festival Theatre and West End). Assistant Direction includes Inherit The Wind (The Old Vic), A Month in the Country, The Critic and The Real Inspector Hound, Oklahoma!, Cyrano de Bergerac (Chichester Festival Theatre), tHe dYsFUnCKshOnalZ! (Bush Theatre) and Much Ado About Nothing (Globe Education). Michael was trainee director-in- residence at Chichester Festival Theatre and has also completed a training course with Cheek by Jowl. from Chapter 14 of Le Petit Prince by Antoine St Exupéry.